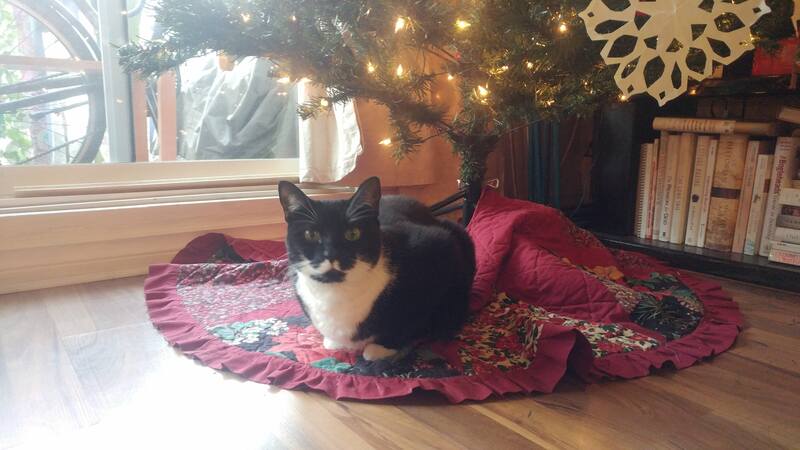 It is always my favourite thing when Gertie lounges under the Christmas tree! This cat and dog travel duo are just the cutest. I think they could win The Amazing Race: Animal Edition! Distracted by cleaning. Gertie does this all the time - she's trying to do something, and then suddenly stops to lick herself. A kitten learns to drink. It's so hard to figure out! Is that a dog or a piece of fluff?